Marcos and Thiago are brothers with a broken relationship. Marcos lives in Europe where he leads a life full of propriety. Thiago lives in Brazil and spends his time wasting his father's money on nights, booze and women. After their father dies, they are faced with astonishing news: their father had another daughter, a mentally disturbed girl, who has lived in a private mental institute all her life. This new reality leads the brothers into new experiences, forcing them to confront totally new and unexpected situations, which lead to a new and important understanding between them. Meu País, which has been celebrated for direction, acting, music, and editing in Brazil, now comes to Austin. André Ristum was born in Rome and started his career in cinema in Italy as an AD. Since 1996, he has been working in Brazil, and has established himself in the industry primarily as a writer and director of short films, including the award winning Homem Voa?, De Glauber Para Jirges, 14 Bis, and Nello's. 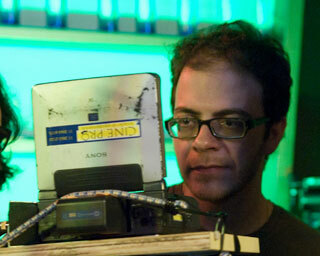 Meu País is his first feature film, which he wrote, directed, and produced.